If your home has recently flooded, or even if you are dealing with less devastating water damage, it is crucial that you act immediately. 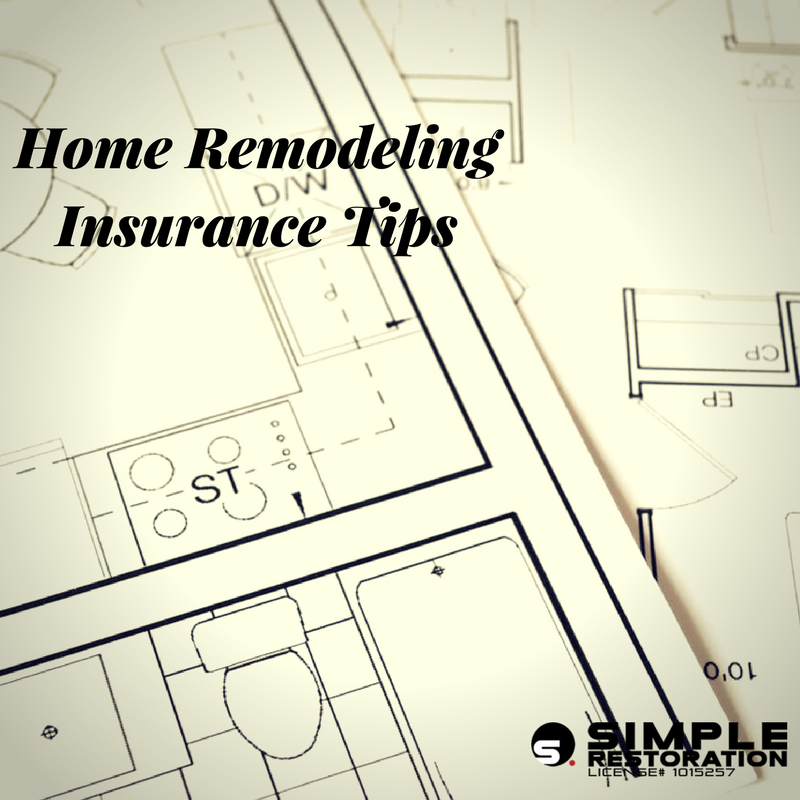 Chances are, you should call a home restoration company (such as Simple Restoration) who can start work immediately. However, what can or should you do yourself? It is an extraordinarily confusing and stressful situation, and you want to make sure that you handle everything from insurance issues to personal health and safety with the utmost care. 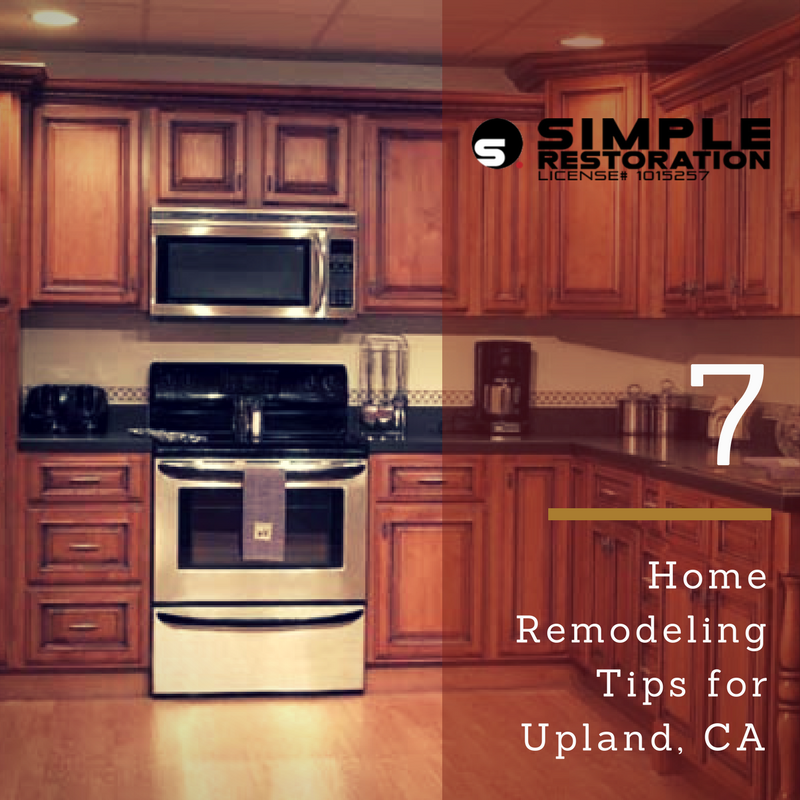 Simple Restoration, the top restoration company in Mira Loma, wants to give you answers to the questions that you have in this stressful time. 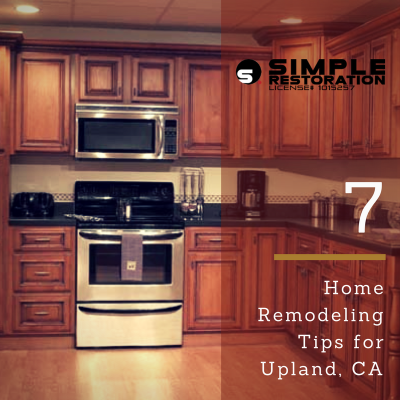 This article will provide you with all of the information you need about the home restoration process, from start to finish. Whether it be deciding if you should even return to the home, or choosing a home restoration company, we hope to answer all of your possible questions and to put your mind at ease. If flooding was so bad that you needed to evacuate your home, the first thing you need to do is to figure out if your home is safe enough to return to. If you think there might be structural damage, you should not re enter your home until the damage has been accessed by a professional. If your home is deemed safe for you to return to, you should still be extraordinarily careful up your initial reentry. 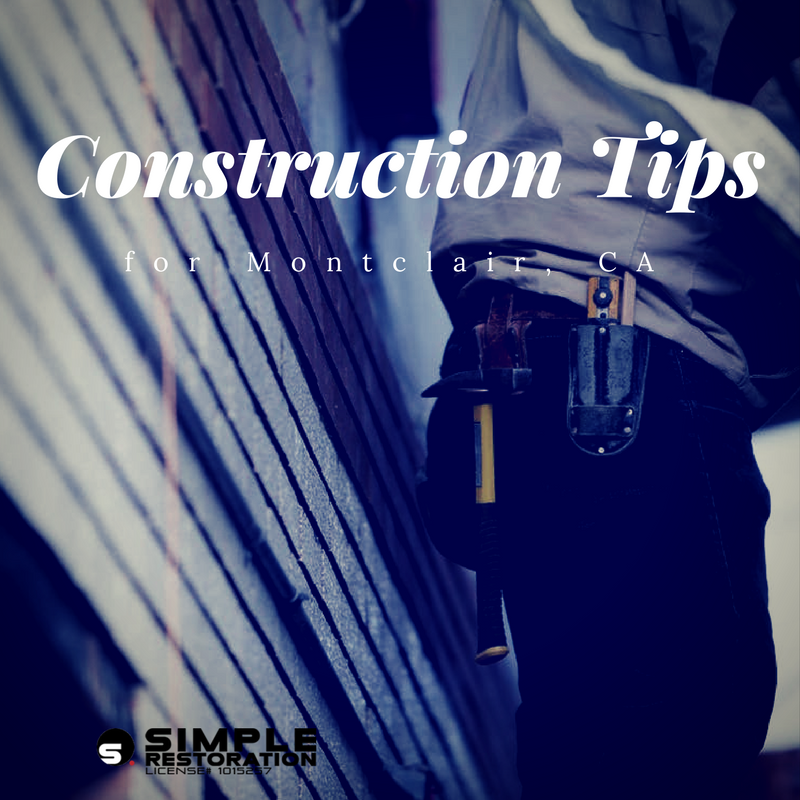 Take extra care to avoid slipping on spots that are still wet or putting excessive weight on walls and floors that you think may have been excessively damaged. 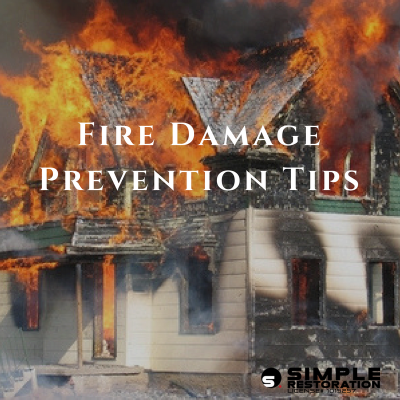 In more severe cases, it may not be safe for you to reenter your home until it has been restored. If your home is safe for you to return to, or if you didn’t have to evacuate when the damage occurred, then the first thing you want to do is remove any remaining water from inside your home. This might be as simple as mopping up the floor, or so drastic that you need to use a shop-vac. In more severe cases, you might require a home restoration company to remove water for you, but most of the time, the homeowner can do it themselves. If you are able to do it yourself, you should act quickly, in order to prevent any further damage caused by water soaking through floors, personal items, etc. 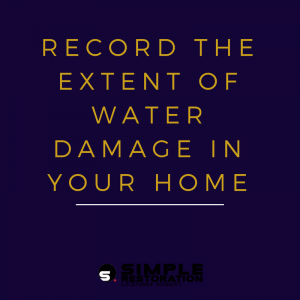 After the water has been removed from your home, it is important that you immediately make a record of what damaged occurred during the incident, so that you may accurately report it to your insurance company. Take pictures and maybe even write notes about the damage… too much detail can’t hurt in this situation. It’s crucial for you to be very thorough with this process, so as to not leave any damage unreported. Whatever you don’t report to your insurance company won’t be covered in your repair compensation so, once again, make sure you don’t leave anything out. No matter how extensive the damage to your home is, you must make sure that your home security is not compromised. Even if the water damage seems to be minimal, you should double check that your home is safe. Check that windows and doors are still functional and that there aren’t any parts of your home that are newly exposed. On the other hand, if water damage is so excessive that there is an opening in your home, you should do everything you can to patch it. Most restoration companies can temporarily secure your home, while the restoration process is being completed. The bottom line here is: don’t leave your home vulnerable. This often the most stressful step of dealing with water damage, but it doesn’t have to be. As long as you have accurately recorded all of the damage and report it honestly to your insurance company, you shouldn’t experience any major problems getting it covered. It helps to have a general knowledge of your insurance policy, as well as your list of recorded damages when you make the initial call. 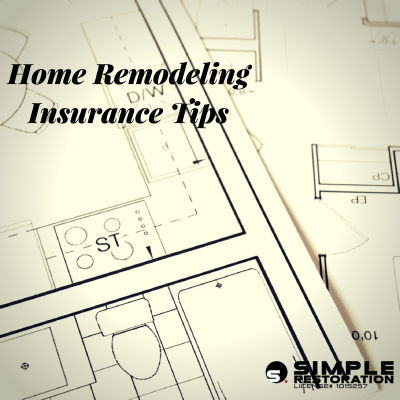 The sooner you work out your situation with your insurance company, the sooner your home can be back to normal. This step of the process can also be potentially stressful for someone who is dealing with water damage. It’s not always easy finding a restoration company who charges reasonable rates, does quality work, and acts in a timely manner. At Simple Restoration, we pride ourselves on providing services that exceeds these three expectations. Firstly, we understand the importance of acting quickly. Home restoration isn’t a luxury, but rather a necessity. If your home is damaged, we know that you want it repaired and back to normal as quickly as possible. 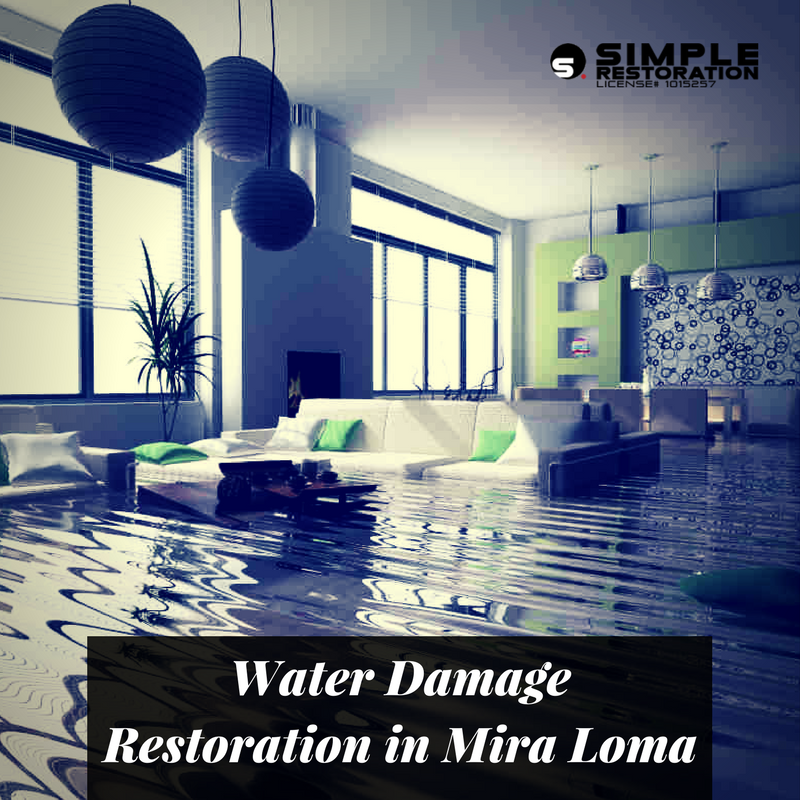 We also offer the most competitive rates and best-quality water damage repair service in Mira Loma. Simple Restoration is dedicated to restoring your home, so that you can return your focus to your life.